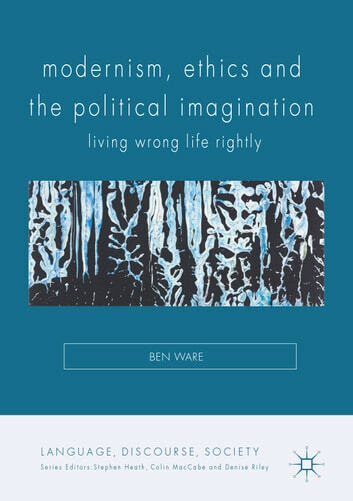 In this groundbreaking new study, Ben Ware carries out a bold reassessment of the relationship between modernism and ethics, arguing that modernist literature and philosophy offer more than simply a snapshot of the moral conflicts of the past: they provide a crucial point of reference for today’s emancipatory struggles. Modernism in this assessment is characterized not only by a concern with language and aesthetic creativity, but also by a preoccupation with the question of how to live. Investigating ethical ideas in Wittgenstein, Beckett, Kierkegaard, Kant, Cavell, Marx, Henry James and Lacan, Ware demonstrates how these thinkers can bring us to a new understanding of a constellation of issues which contemporary radical thought must re-visit: utopia, repetition, perfectionism, subtraction, negativity, critique, absence, duty, revolution and political love. The result is a timely and provocative intervention, which re-draws the boundaries for future debates on the ethics and politics of modernism.